Rooted in three thousand year-old classical Chinese medicine, Kampo is still practiced widely in hospitals in Japan. Kampo is an a unique treatment method where the overall condition of the patient and their constitution are deeply considered in order to address the entire body and mind. After a thorough intake, an appropriate herbal prescription is chosen, based on the full-picture of their health and state. The physical examination includes abdominal palpation, tongue inspection and pulse diagnosis. Patients leave this treatment with herbs for at-home treatment. Cupping is a relaxing technique to treat pain, allergies, and colds. During the treatment a glass or plastic cup is applied to the skin and held in place by suction. The pressure this creates pulls superficial connective tissue into the cup. This brings fresh blood and lymph, along with all of its healing properties. This improves circulation and initiates the first steps of healing. In Chinese Medicine, we look at certain types of muscle pain as "stagnation", cupping does wonders in removing stagnation and decreasing pain. Some light marking may occur from your treatment, this is entirely normal and a healthy response. Moxibustion, sometimes called Moxa(mugwort herb) is placed on certain areas of the body on top of a protective ointment, and burned. The burning of the herb on certain points can warm it, increase circulation, and assist in the healing process. In certain cases, the moxa is put on top of needle and heated, so the heat penetrates through the needle and deeper into the body. Tui na is a form of Chinese Medical massage. Tui na seeks to improve the flow of qi throughout the body via lifting and grasping areas of the tissue to increase circulation, and address tension and pain. Tui na is works really well for problems involving muscles, joints, and structural misalignment. Electro-acupuncture (EA), or electrical stimulation (e-stim) is the application of a small electrical current to the acupuncture needles. E-stim is a way to provide reliable, consistent stimulation to acupuncture points without prolonged manipulation of the needles by hand. E-stim generally enhances the effect of acupuncture therapy by raising the level of analgesia and extending the treatment’s effectiveness. The additional stimulation of the acupuncture needles helps to promote tissue repair, as well as healing and regenerating nerve fibers essential to the treatment of many chronic conditions. Because of its pain-relieving abilities, electro-acupuncture is often used in cases of acute and chronic musculoskeletal pain. EA can be used to treat a variety of disorders including pain, muscle spasms, numbness, nerve dysfunction, paralysis and atrophy. 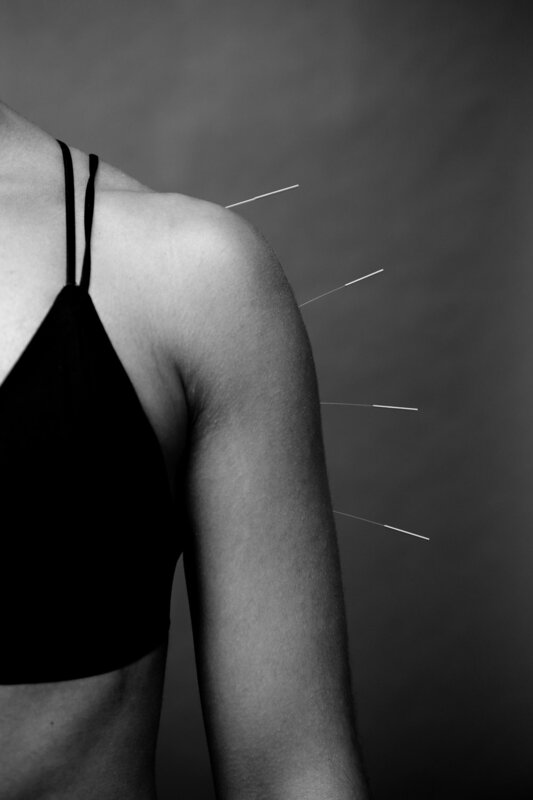 Trigger point Acupuncture is particularly effective for patients who experience muscle and joint pain resulting from injuries, chronic pain conditions, any pain resulting from repetitive movement, and of course, stress. It is appropriate for athletes, yoga practitioners, dancers, personal trainers, cross-fit enthusiasts, new parents, and basically anyone who has a job where you are required to do, or be in a specific position over and over again, yes, sitting all day in an office counts. Other people with active lifestyles can benefit as well. We assess your needs based on each individual complaint and determine which muscles are involved. Needles will be inserted in to the muscle causing a very fast contraction followed by an immediate relaxation of that muscle fiber. This can feel like a kind of jump or twitch. While it is a different sensation, a lot of people really enjoy it because you are actually feeling the tightened engaged muscle release and relax.